Leading Manufacturer of paper bag making machine(medium) and paper bag machine(baby) from Surat. We are engaged in providing a wide range of Paper Bag Making Machine(Medium) to our clients. 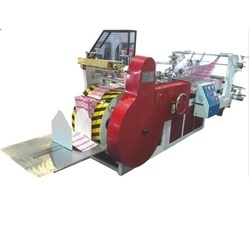 We are providing a very exclusive range of Paper Bag Machine(Baby) to our valuable clients.